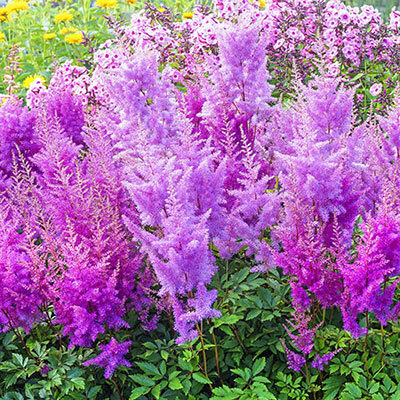 Recently introduced astilbe produces large, 12" fluffy plumes of vivid lavender-pink on sturdy stems. 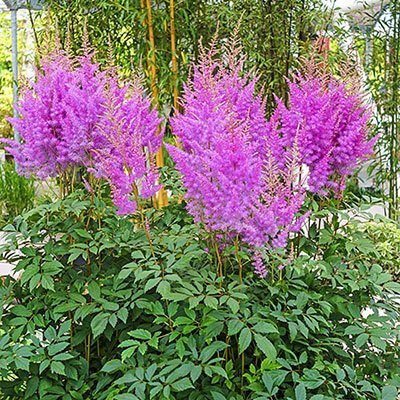 This vigorous variety earned a first-place award at the world-renowned Keukenhof Gardens in Holland. 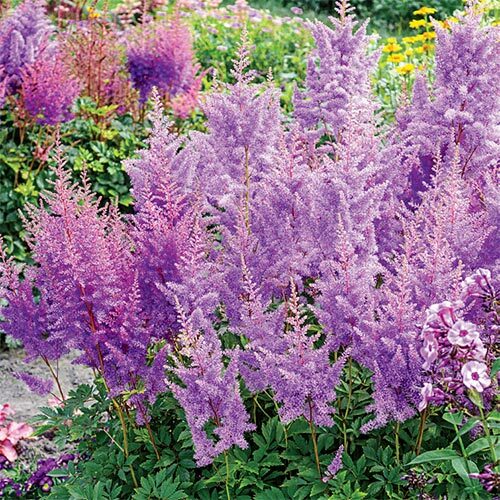 Deer resistant and very low maintenance, Nemo is an improvement over older astilbe varieties. Do not allow the soil to dry out during the growing period. Astilbe are moisture-loving plants.